Your garage door doesn't have to look like it came off of a storage shed! 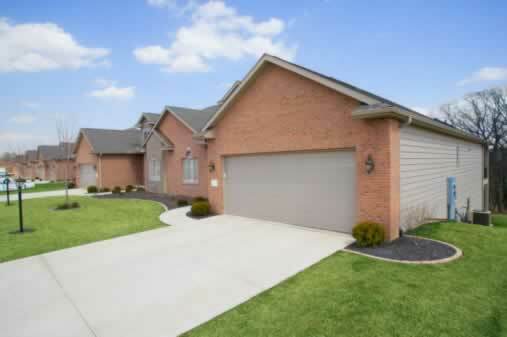 Today's fiberglass roll-up garage doors can be painted to complement your brick, stucco, wood, or vinyl home exterior. This multi-paneled, sectional roll-up was created to echo the color and pattern of the garage siding. At the same time, it creates an unobtrusive, durable counterpoint to the brick fa��ade. You'll love the ease of installation and low-maintenance of these lightweight, strong roll-up doors that disappear into a sturdy frame just below the ceiling of your garage. That means you won't have to sacrifice valuable work space or storage capacity, even with your cars parked in place. You'll also enjoy the quiet, smooth operation and security of a well-engineered door.